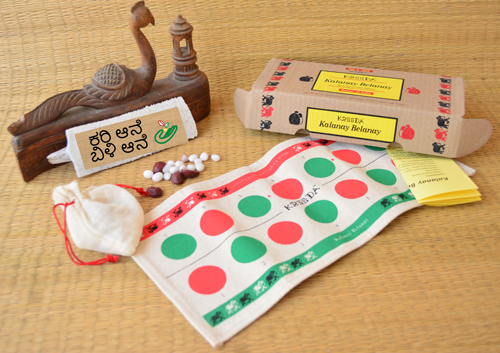 A board game from Karnataka, Kalanay belanay is a 2 player-game. The objective of the game is to remove the opponents pieces from the board. Game rules available in the box.